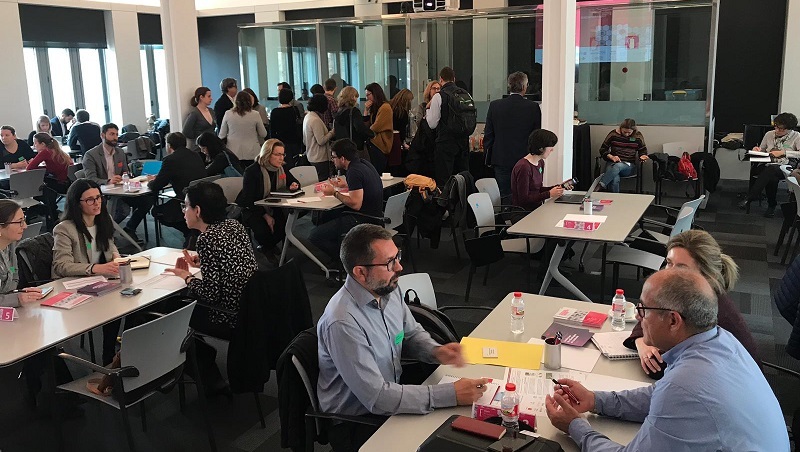 34 company representatives and nearly one hundred researchers participated in the first Open Innovation Forum 2019, a program organized by Biocat that gives companies the chance to share their innovation challenges and get proposals from research groups and centers to solve them. This first meeting, held at CaixaForum Barcelona, hosted a total of 76 meetings. Eurecat is one of the centers that, at the event, was able to propose potential solutions to the challenges posed by companies like Uriach and Novartis. “This first gathering of the Open Innovation Forum allowed us to get a closer look at very specific challenges, some of which we can offer solutions to and others that are still open and we hope to continue working on,” highlights Francesc Massana, Business Development manager for Health & Sports at Eurecat. “For a technology university like the UPC, participating in a program with companies with real problems has added value that allows us to connect with society and find opportunities to collaborate,” adds Jaume Castellà, executive director of the Center for Sensor, Instrument and Systems Development at the Polytechnic University of Catalonia (UPC). The Open Innovation Forum is divided into five areas of knowledge (food, healthcare, medtech, chemistry and materials). Any companies and stakeholders that are interested in participating can send in proposals through the end of 2019. This way, innovation challenges will be received all year long. In 2019, several events will be held so that companies and problem-solvers can meet face-to-face. The program is organized by Biocat, University of Barcelona, Bosch i Gimpera Foundation, Pompeu Fabra University, UPF Ventures, Autonomous University of Barcelona, UAB Research Park, Polytechnic University of Catalonia, IDIBELL and ACCIÓ.